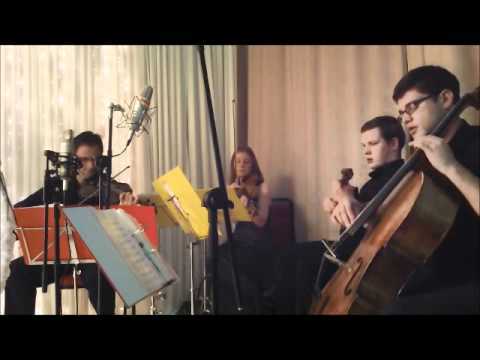 Founded at one of the top UK music conservatoires, The Royal Northern College of Music, The Endymion String Quartet specialise in the provision of high quality live music for weddings, functions, galas, christenings, product launches, corporate events and more in the North West of England. Endymion Strings are versatile and can offer a selection of music for Jewish or Indian weddings or events. Add a touch of refined elegance to your next event with Endymion strings. To the right you'll see some video of the trio in action and of the quartet performing at an Indian wedding. Sorry, Endymion Strings doesn't have any photos right now Send us an enquiry and we'll get back to you, or check out the rest of the act profile. Mr and Mrs Lasker, Capesthorne HallThe day was fantastic and you guys really added to the day. I think its safe to say that the elbow song was the highlight for almost everybody. Thanks again for your part in the day and for making the effort to make that song work. Annette, Christ Church, Bolton I just wanted to drop you a note and thank you for Friday, you were absolutely wonderful and everyone commented on it. I really wish I had chance to speak to you personally on the day but the photographer was very demanding. I especially love the take that number. Thank you to you and all your team, you really made my day Asif, Tatton Park, June 2011 I would like to say a big thank you to you and your team for making my wedding day very special. You guys were fantastic and everyone absolutely loved it. I had so many of my guests complementing the Bollywood songs you played as they said it was beautiful and it set the scene at Tatton Park. Prospects Services, Nottingham, June 2011 On behalf of the Sally and the service I would like to thank you for your outstanding music on Friday. The evening was a great success and all of our staff commented how fantastic it was to have a string quartet. I would like to thank you for your high standard, professionalism and for starting our evening off superbly. Pamela, Millington farm, Cheshire Thank you so much for playing at my daughter's wedding. It was so beautiful and every one really enjoyed listening to you. So many people commented on how lovely the string trio was. Thanking you! Mr and Mrs Drury, Corwen, North Wales, May 2011 I think your attention to detail prior to the wedding was fantastic ensuring a thorough understanding of the format of the day and what we wanted for the wedding.The music was hugely enjoyable, the fact that you captivated my mother for so long was a real feat! Tristam and Jenny Gee, Brookmeadow Hotel, April 2011 "Thank you very much. 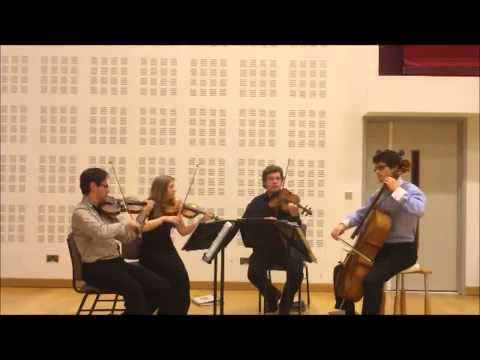 The quartet were very professional and they played wonderfully, they made our day! I would have no problems recommending your services." Jennifer Walker, Manchester Town Hall Lots of people commented on how good the music was and that it set exactly the right tone for the day. Everything ran completely smoothly and you were completely professional. We were also so pleased that you agreed to learn extra songs even though they weren't in your repertoire - it made a huge difference to us on the day. Heather, Crown Plaza Hotel Liverpool, March 2011 I just wanted to say thank you very much to you all for making my brother?s wedding such a special day. I was so pleased with the music and would highly recommend you all to everyone i meet. I have passed on your details to some of the guests who are looking for a string ensemble for various events. Again, many thanks. Jessica Lowe Press and Marketing Manager, Harvey Nichols "The Endymion String Quartet played at the reception of our Spring Summer fashion show at the Manchester Art Gallery. Many of the guests commented on how lovely the music was and we feel it helped to create a great atmosphere at the event. In the lead up to the day, Amy was a dream to liaise with and took all of the hassle out of choosing from their extensive repertoire to ensure the music worked well with our show and appealed to our customer." Tessa and Steve Snelson, Ribby Hall Village Preston "Just a quick note to say thank you so so much for playing at our wedding today. You and the guys sounded and looked wonderful! Everyone has commented and said how beautiful you made our special day by adding your unique touch. So, again a huge thank you and we will recommending you to everyone we know!" I Do Wedding Fayres ?Endymion have played for us at many wedding fayres and I have found them professional, talented and versatile. 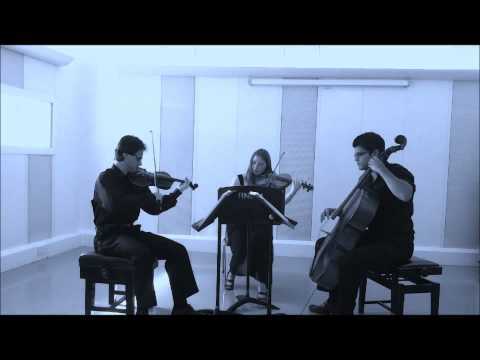 In addition to the traditional string classics they also play their versions of many contemporary songs and have always been 100% entertaining, I would highly recommend them for any event.? Aletta Welensky, National Trust "We engaged the Endymion Quartet to play at a National Trust donor event at Lyme Park this autumn. From an event coordinators perspective I would like to highlight how easy and accommodating the quartet were to deal with before the event. They were keen to understand the purpose of the evening and interpreted our requirements very well on the night. The quartet played with real character and our guests commented throughout the evening on how much they enjoyed the music and that it really enhanced their experience of the setting. We will definitely be using them for future events at National Trust properties." Lord and Lady Maclennan of Rogart "Amy Fields played (beautifully) a Bach violin solo at our son's marriage service and the duo performed at the reception with a more secular repetoire. They are thoroughly professional artistes with style, verve, zest as well as excellent performance skills." Mr and Mrs Bailey, Rochdale"Thank you so much for the wonderful music you provided for our wedding reception. Although we didn't much chance to speak to you much on the day, our guests were very complimentary and said how much they enjoyed the music."